The main reason headphone jacks remain a staple of most phones is because they work. There's no pairing and re-paring, or worrying about how much longer the batteries in your earbuds will last. 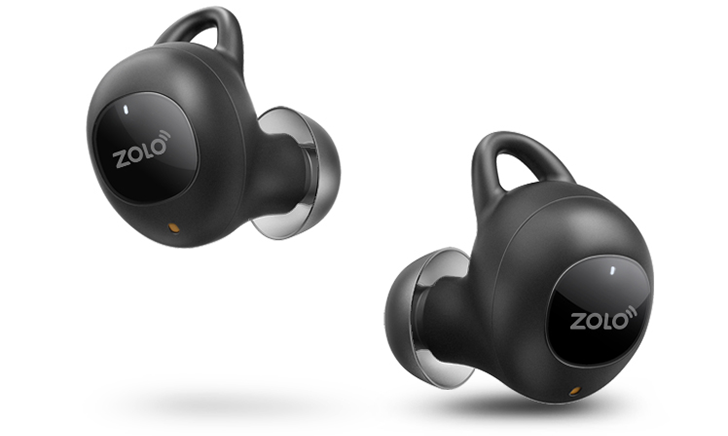 Anker's new "apprentice brand," Zolo, is trying to make Bluetooth earbuds without any compromises. The Kickstarter for Zolo's Liberty+ earbuds was revealed yesterday, and it has already passed its funding goal ten times over. Zolo is making bold claims about the Liberty+, including "breathtaking audio fidelity" (thanks to coating the audio driver with Graphene), and a "virtually-unbreakable" Bluetooth connection (by using an LDS antenna). The earbuds themselves have 3.5 hours of battery life, with the charging case adding about 48 hours. Another major selling point for the Liberty+ is the "GripFit technology," which allows the earbuds to stay in your ears more securely by twisting them. Tapping the side of the earbuds will activate the digital assistant of your choosing (Siri, Alexa, and Google Assistant will be supported). The Liberty+ will ship in either black or white, and mass production and shipping is scheduled for October 2017.